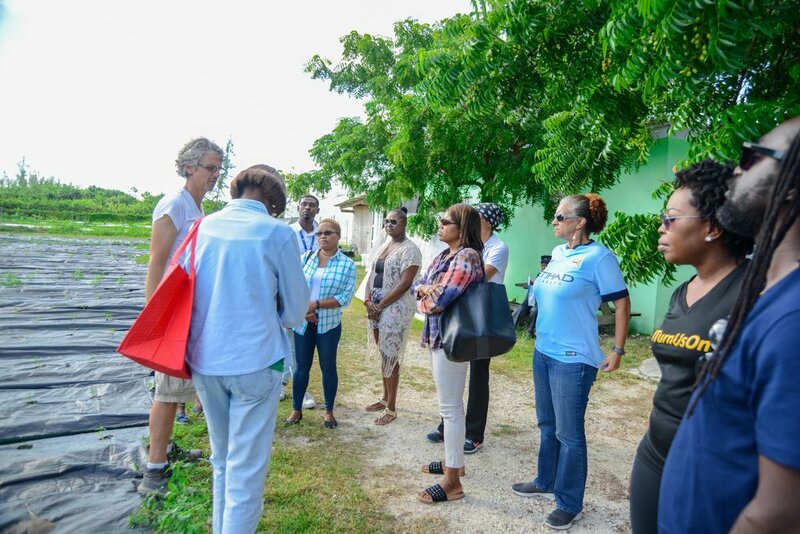 On the morning of Saturday 3rd November, 2018 corporate wellness members met at Atlantic House to embark on the first ever, “Farmers Market Tour & Workshop.” Members were greeted with gift bags and refreshments at the registration session that morning, and once the buses arrived they were shuttled off to various produce providers here in Nassau, Bahamas. At The Fresh Market, the Health Coach, Mrs. Melissa Major, hosted us to a grocery store tour, during which she highlighted the ways to identify organic produce from conventional produce, how to read nutrition labels and the importance of writing a grocery shopping list. The most important take home message from this visit was that it is not always necessary to spend more on organic produce because depending on the thickness of the skin of the fruit or vegetable; the thicker skin reduces the need to buy organic, making the additional investment unnecessary. At the next stop, members met with Dr. Tim Hauber, proprietor of Field to Fork Farms. Dr. Hauber conducted a workshop with members to encourage them to start and maintain their own garden spaces at home. The conversation strengthened members’ understanding of eating locally and the benefits of soil rich foods to support weight loss and to reduce risk factors for disease. By the end of the workshop, members had planted their own pots of soil to grow green leafy vegetables at home, and most importantly they all learned that the amount of soil needed to cover the seed was only 2-3 times more than the circumference of the seed itself. The final stop was at B.A.I.C.’s Farmers market on Gladstone Road. This Farmers Market operates every Saturday between 7:00am to 1:00pm and sells a variety of poultry, produce, baked goods and even preserved products. At this stop, members were very eager to get off the shuttle and have their recyclable bags filled with goodies to take home and share with their families. The idea behind this stop was to help members identify where this market is located, the logistics of getting there and grabbing important ingredients for this week’s meal planning, but most importantly the comparable savings they can accomplish if the farmers market was their main source of produce purchases. 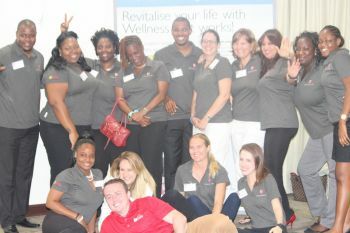 Atlantic Medical Insurance’s Zest Wellness department continues to promote wellness here in The Bahamas. 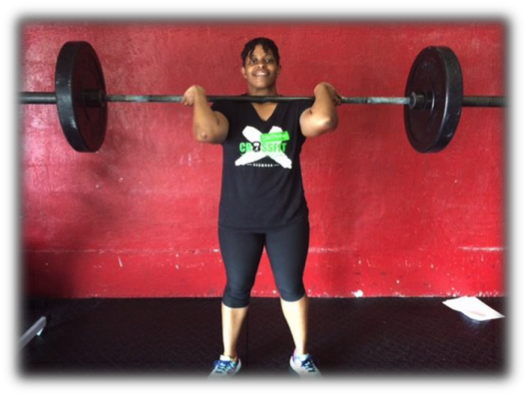 It is no surprise to most Bahamians that there is a major concern for the future of well-being here in The Bahamas and it takes events like the Farmers Market Tour & Workshop to change the mindset of Bahamians to impact their food choices and lifestyle.